Could you be the next Rove McManus or John Safran? Both began their careers on Channel 31. 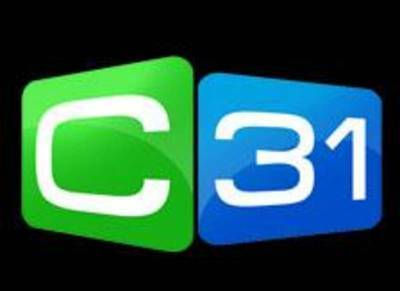 Channel 31 is a community television station which reaches 1.4 million viewers a month. Perhaps you have knowledge of a particular subject that you feel could be interesting to the masses. Perhaps the TV show that you want to watch hasn't been made yet. Well then why not do something about it? Nothing feels better that getting out into the world and making things happen and putting 'action' into your ideas. It's a great way to meet like-minded people, it's a great way to progress your creativity and it looks super-duper on your resume. If you don't feel confident enough to pitch a TV show yet, then why not get your toes wet by volunteering to be part of a channel 31 television crew or even as one of their presenters? There are opportunities to get experience in lighting, sound, screenwriting, directing and producing, all while having a hell of alot of fun. I have worked on many volunteer TV and Film projects and have made friendships, that will continue for a lifetime. It really is a fun and inspiring way to express yourself and be involved PLUS unleash any hidden talents you may have. Visit the Channel 31 website for more info. I look forward to seeing your dazzling selves and talents on the big screen very soon. When: How about contacting them today? Where: 501 Swanston Street, Melbourne. Cost: A little confidence, a little faith & a whole lotta fun.